This information gives some general insight as to the best places in Ontario for individuals to take their G2 test. It is based on fail rates. Ideally, the best place to take the test is in one’s region. Since it will be the most likely place where most of the driving will be done. At least, this should be the case once the G2 licence has been obtained. For instance, being able to pass the test in the region where the driving will take place may provide a better driving experience for the future. Based on the fact that this is where the driver will be driving and has shown their capabilities for being able to drive in this region. Kenora tops the list of the best locations for the G2 driving test. It is a town found in Northwestern Ontario. Also, Some of the advice that has been given when taking your test here is that they may make you do your parallel parking. It could take place in the back parking lot of the centre. It may have changed but they used to have two garbage cans painted yellow, and you were expected to park in between these. The driving centre here comes in second for having a success rate of passes for the G2 licence. In addition, some attribute this to the fact that many of those going through the test live in the region. There are a lot of young people taking the test, but many of them have good driving experience. Plus, it is because so many of them have been driving ATV and other off-road vehicles starting at a very young age. For those who are looking for driving centres in Ontario will a low fail rate then Sudbury coming in at 14% failure may be appealing. A lot of the feedback about the Sudbury Driver centre revolves around the hassle to try and reach them by phone so an individual can book an appointment. Reviewers have given this driving location a 3.3 rating. Dryden is one of the best places for an individual to take their G2 driving test as it only has a 19% failure rate for this G test category. One of the reasons may be because it has a small population of about 7,749 as of 2016. The weather conditions throughout the year for Dryden are considered average as an Ontario City. It gives drivers going for their G2 test some idea of what they can expect at the time of the year that they are going to go for their test. It seems like it is a little more difficult to get a G2 licence here in Thunder Bay compared to the G licence. That is if one relies on the fail statistics. Thunder Bay has a 20% fail rate for the G2 which is only slightly higher than the fail for the G licence. Thunder Bay is noted as the municipality with the highest population count in North Western Ontario. Also, you can expect to have some competition when you are driving the roads in Thunder Bay during your driving test. For those that think getting their G2 licence would be easier in a small town or village then they may want to consider Winchester. It is a village that makes up part of the Eastern Ontario region as in only about 50 km just south of Ottawa. Perhaps, one may think that because this is a smaller area compared to many of the others that it should be rated as the best place for one to get their G2 licence. Yet, the fail rate here is 20% which ties it to the 6th position with Thunder Bay. Espanola is another small town that may appeal to those who prefer to drive in a town setting compared to the larger cities. It only has a population of 4,996. Also, it is in the Northern Ontario region and is part of the Sudbury district. 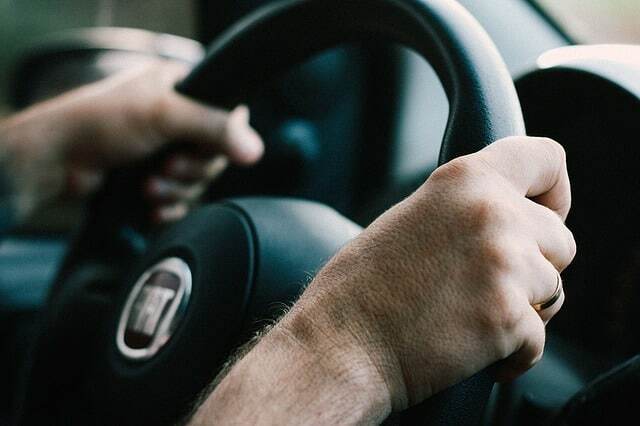 What is interesting is when it comes to the best driving test centres in Ontario is that while Espanola takes the seventh-best position for the G2 test drivers, it is number one on the list for the best locations for G driving passes. For drivers who feel comfortable taking their G2 drivers test in more of a rural country type setting then Kapuskasing would be ideal. However, when it comes to being placed on the top ten best places to get a G2 licence it takes the eighth spot. The fail rate is tied with Espanola at 21%. However, it has a much higher rating for the G driving test where it takes the second spot for being the best in that driving category. Bancroft did make it to our top ten list for the best locations for a G2 driver to take their test. Also, it is tied with Espanola and Kapuskasing for the ninth spot. In addition, it is another small town with a population of less than 10,000. Plus, there have been some indications that some driving school instructors will take their students to this location. This is for their G2 test because it is considered to have a low fail rate. This city just made it to the top ten list as it has a fail rate of 22% for the G2 drivers taking their test. In addition, it is a South/Central city in Ontario. Also, it has a mid-sized population of around 50,000. Plus, the streets can be busy, and parking space is not all that great. However, it is still considered to be a good location for one to take their G2 drivers test.